This week on Writing on the Air, we talk with poet Christopher Michael about his new collection, Persona Non Grata. We broadcast Writing on the Air every Wednesday from 6-7pm on 91.7 FM KOOP. You can stream our show live by clicking on the tiny player at the top of the screen at KOOP.org. And please like us on Facebook! This way you will be the first to know every week who upcoming guests are, and what new podcast is available. Christopher Michael (www.mrmichael310.com) has been a regular in The Texas Slam scene since 2004. He is the co-founder of Killeen Poetry Slam, and a regular host at Austin Poetry Slam. Among his accomplishments are 2005-2006 Austin Slam Champ, 2008 Killeen Slam Champ, 2010 ArkansasGrand Slam Winner and a 3 time national finalist. He has been a member and coach of 10 National Slam Teams as well as coached 4 Youth Poetry Slam Teams. He is currently the Executive Director and Slam Master of They Speak Youth Slam in Austin Tx. (www.theyspeakaustin.org) Serves as a board member for Austin Poetry Slam and the Vice President of Poetry Slam Inc. 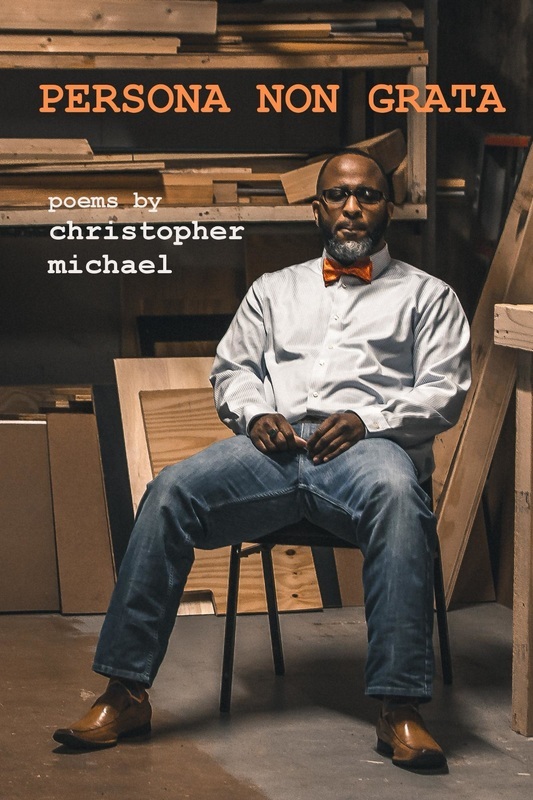 This year he will be representing Austin Neo Soul in Oakland Ca at the national poetry slam and is celebrating his first book release “Persona Non Grata”. You can see Christopher Michael perform live in Austin on June 30th at the Spiderhouse Ballroom! Learn more here: Slambowl!